I first heard of Kaleigh through Freight Train members Matt Walker, Damon Fowler, and Heather Gillis. I started listening to her albums "Weary Hours" and "The Weight of it All," but didn't realize just how incredible she is until a live performance at Orange Blossom Jamboree (May 2017.) As a singer myself, experiencing the music of someone with such a natural gift is the pinnacle of why we do what we do. She's a conduit to the divine space that holds the purest form of our art, and I'm honored to call her my friend as well. 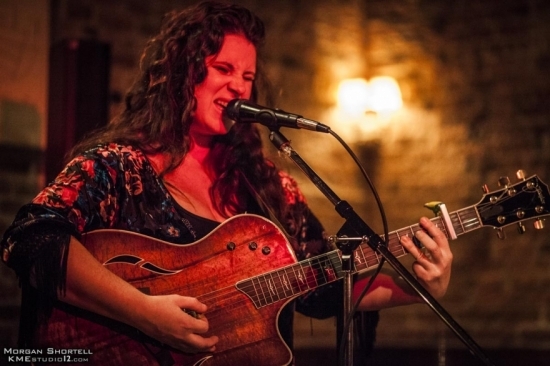 From a small valley in New York, Kaleigh Baker has fostered a connection with her audiences since her early days performing. Kaleigh's gypsy ancestry is taking root in her music, melding her rock attitude, jazz, and mountain-soul influences. She continues to mold her music with every bend on her journey.